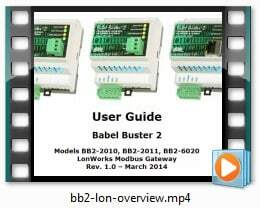 The Babel Buster BB2-2010 Modbus to LonWorks gateway connects multiple Modbus RTU devices to a LonWorks network, mapping Modbus RTU registers to LonWorks network variables. The BB2-2010 is a standard LonWorks node with bindable network variables. 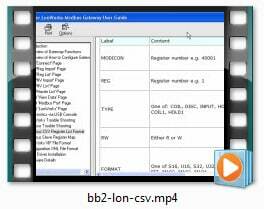 The BB2-2010 Modbus to LonWorks gateway can be a Modbus RTU master or slave. A large number of data objects gives you flexibility in mapping Modbus registers to scalar or structured LonWorks network variables. Packed Modbus registers may be parsed to multiple network variables when reading. Multiple data objects may be packed into a single Modbus register when writing. All standard Modbus register types are supported. 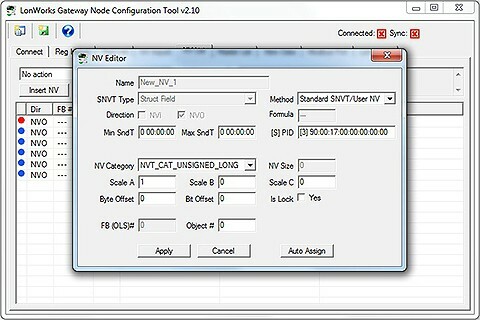 A structured LonWorks network variable may be distributed among multiple Modbus registers. 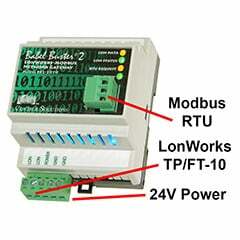 The BB2-2010 puts a Modbus device on a LonWorks network. 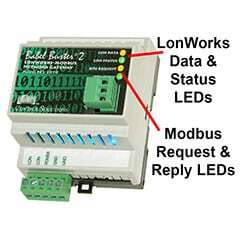 Do you need to put a LonWorks device on a Modbus network instead? If so, you want the BB2-2010-NB. 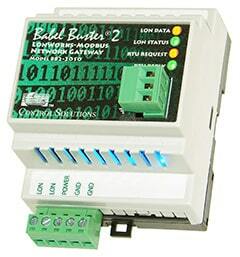 Control Solutions’ Babel Buster® BB2-2010 is a bindable LonWorks® node that functions as a Modbus RTU RS-485 master/slave. 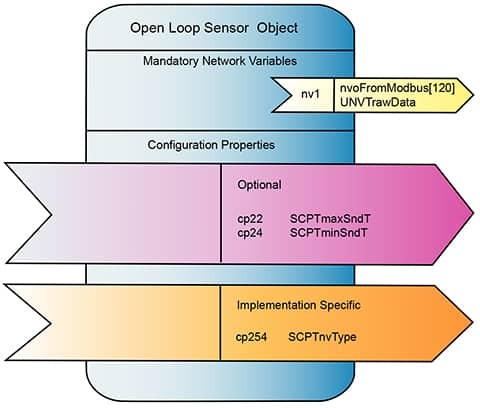 A large number of data objects gives you flexibility in mapping Modbus registers to scalar or structured LonWorks network variables. Packed Modbus registers may be parsed to multiple network variables when reading. Multiple data objects may be packed into a single Modbus register when writing. All standard Modbus register types are supported. 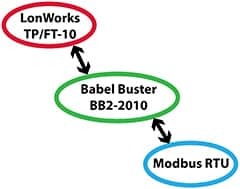 The BB2-2010 is most often used as a Modbus master, but it can operate as a slave. 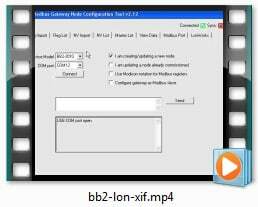 This makes it possible to put LonWorks devices on a Modbus network (but does still require binding and network commissioning with LonMaker or equivalent). The Babel Buster BB2-2010 is the upgraded replacement for the legacy Babel Buster 485. The BB2-2010 provides four times the network variable capacity, faster processing speed, and requires no installation credits for installation in an LNS based network.